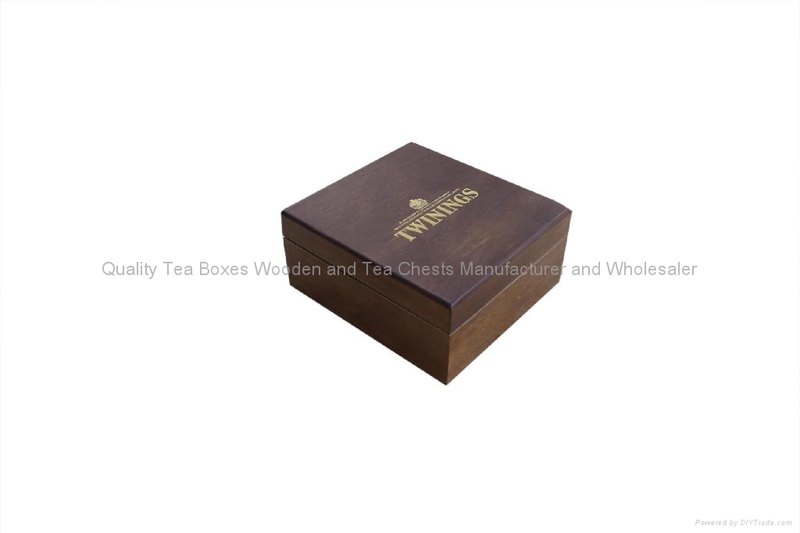 This beautiful luxury crafted tea wooden box is created for Twinings teas with four compartments. Compartment size is 68x75mm.Made from fine dark wood and finished with the Queen's golden Royal Warrant and solid brass hinges and openings. This details crafted quality box is perfect as a gift for tea lovers.This tea box can be made from 4,6,8 & 12 compartments upon customers' requirements. Our company is just creating all types of wooden tea boxes, tea chest and caddies for ten years from 2004. Every box from us is quality guranteed and well controlled from our production. 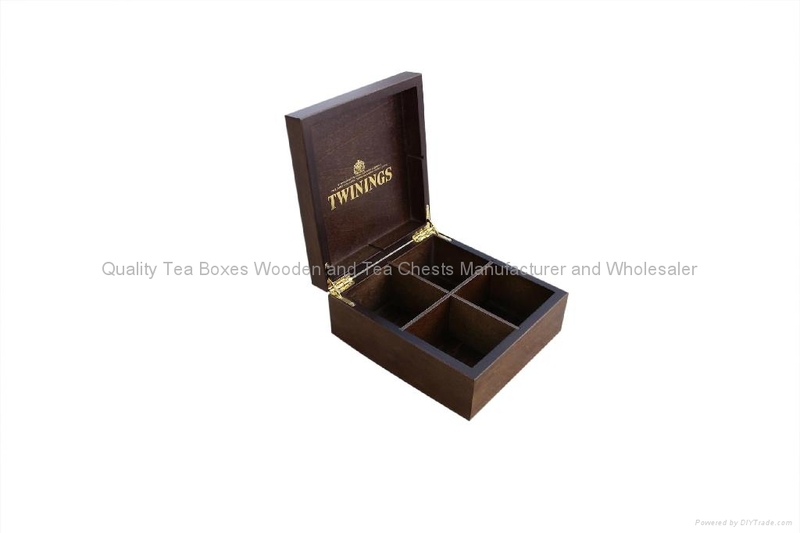 If you would like to find a quality wooden tea boxes and tea chests manufactuer and suppliers, Extreme is your best partners. Please contact us for more details.